Deciphering the names of Lincolns nowadays is starting to be like cracking Soviet spy code. The 2008 MKZ is joined by the MKX and soon by the MKS, plus there''s inexplicably the Mark LT. Unlike the LT and eight previous Lincoln Marks, using quasi-acronyms is apparently way cooler and more likely to attract a younger group of buyers -- younger as in south of 65. The logic behind that, though, is like handing Ed McMahon a skateboard and expecting him to host the X Games. While the MKZ is certainly more lively than the geriatric Town Car, it has a long way to go before it can be considered a realistic competitor for other entry-level luxury sedans. 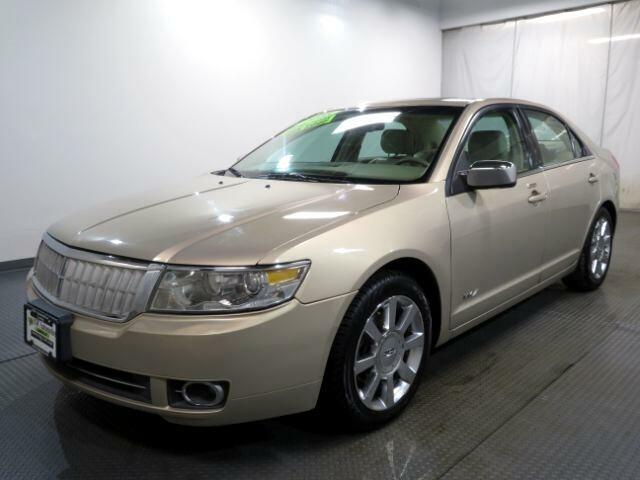 The 2008 Lincoln MKZ is more or less a Ford Fusion with different front and rear styling, an overcooked retro interior and 42 more horses. While models like the Acura TL and Lexus ES 350 are related to lesser Honda and Toyota vehicles, respectively, they possess completely distinctive styling. That''s not to say the Fusion is a bad car to be based on, though, as this family of midsize sedans features competent handling, good steering feel and plenty of interior space. Plus, the MKZ adds a more comfortable ride to the mix, along with the 263-horsepower V6 found in the much larger MKX.